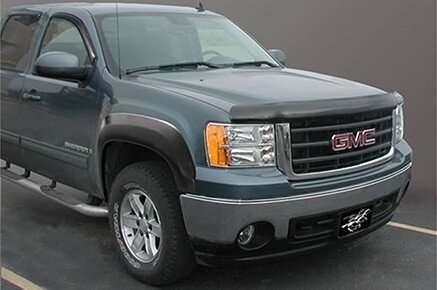 Stampede takes the best of fender flares, hood deflectors and vent visors and steps it up a notch. With the Camo series, many Stampede accessories are available in 4 different camo patterns. 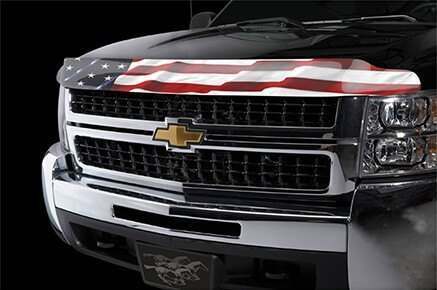 To finish out your vehicle, top it off with a specialty American flag design for your hood deflector. Show your true colors! 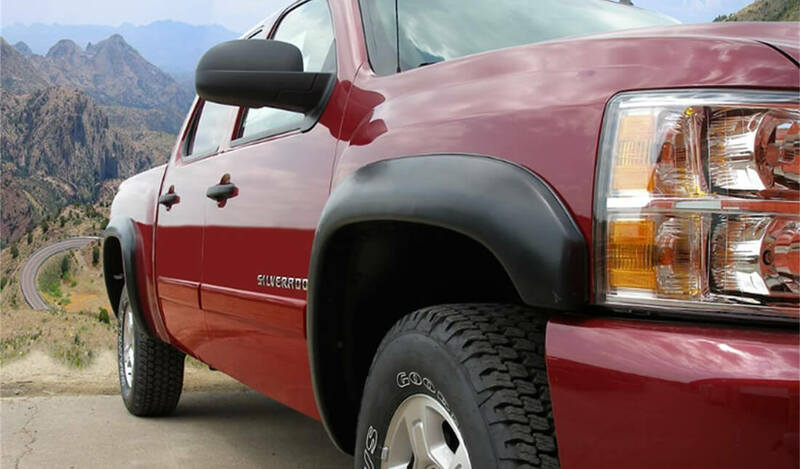 Stampede Original Riderz Fender Flares are designed to present an original equipment appearance on your truck or SUV. They are application specific and are available in multiple color options including black or four unique camouflage patterns. The durable ABS material can also be painted to accomplish the customized representation of your choice. They can also be repainted at a later date if the concept of your original idea changes over time. They are backed with a limited lifetime warranty. Stampede Ruff Riderz Fender Flares incorporate a very aggressive appearance due to the simulated rivet pattern that is integrated into the design. The customizing options are endless because they are available in black, 4 different camouflage patterns, or they can be painted any color you want to accomplish the unique style that you prefer. Durable automotive grade ABS material is utilized in the construction and they are application and vehicle specific to fit perfectly. They are backed by a limited lifetime warranty. 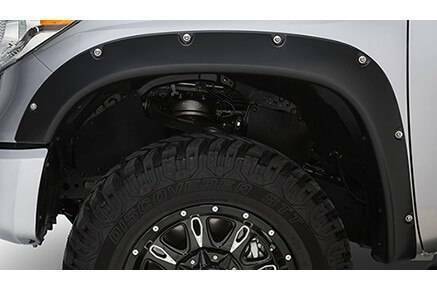 Stampede Trail Riderz Fender Flares are wider than most standard fender flares to provide a higher level of side panel protection and accommodate larger all-terrain tires. 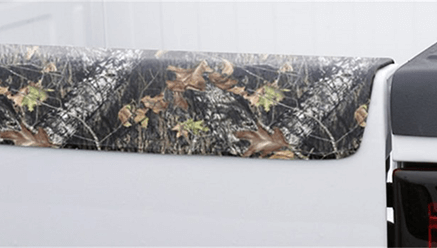 They are available in a wide range of color options to create a unique custom appearance including four different camouflage patterns or black. The durable tri-blend automotive grade ABS material is also paint-able to accomplish any color combination that you desire. This product also includes a limited lifetime warranty. Stampede Vigilante Low Profile Hood Protectors incorporate a low-profile design that is sleek and hugs the contour of the hood. The unique wrap around design also provides protection for the leading edges of the fenders in most applications. They are available in smoked and clear color options to allow you to coordinate them with other accent components on your car, truck, or SUV. The protectors are specific to the year, make, and model of the automobile to ensure an exact fit. 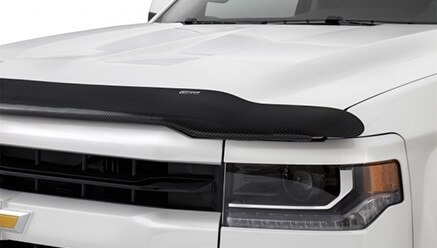 Stampede Vigilante Premium Hood Protector incorporates a sleek aerodynamic design that coordinates with the contour of the hood and fenders. This design also facilitates full hood protection; verses leading edge only protection. The protector repels bugs, foreign objects, and debris to protect the windshield as well. Custom patterns and colors are available including smoked, chrome, clear, camouflage, and even the American flag. These products are vehicle specific based on the year, make, and model to establish an exact fit. Protect your vehicle hood from flying debris and bugs. This hood protector will give you the protection and security that you need. 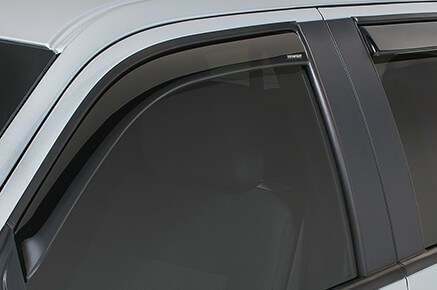 Stampede Snap-Inz Vent Visors incorporate a unique in-channel design that simply snaps into the window channel. They present a sleeker lower profile appearance than most window vent visors allowing air circulation while preventing the elements from entering. The installation process is quick and easy with no tools required due to the fact that they just snap into place. They are application and vehicle specific based on the year, make and model of the car, truck, or SUV to establish an exact fit. Stampede Tape-Onz Vent Visors are specifically designed to allow fresh air to enter and keep other elements out. They also enhance the overall representation of your car, truck, or SUV. The installation process is fast and simple due to the 3M adhesive application that is a basic peel and stick process. 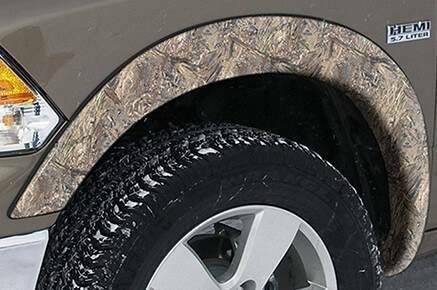 You can achieve your own customized look due to the multiple color options that are available including smoked, chrome, clear, and several different camouflage patterns. 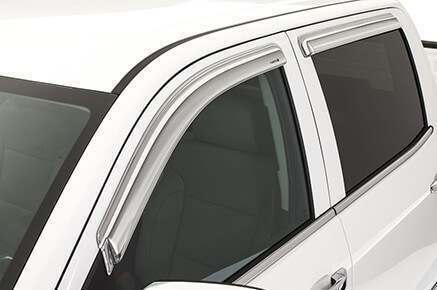 All vent visors are vehicle specific to accomplish an exact fit. Protect your bed rails with these and you will be able to enjoy a good-looking truck for years! Constructed from ABS thermoplastic, this comes in black or camo that will not only provide you with protection but it will also provide you style as well. Based in Buford, GA, Stampede Automotive Accessories is owned by Lund International, the same company behind AVS and Lund products. With an attention to detail and engineering, Stampede products are available for trucks, SUVs, Crossovers and Vans. 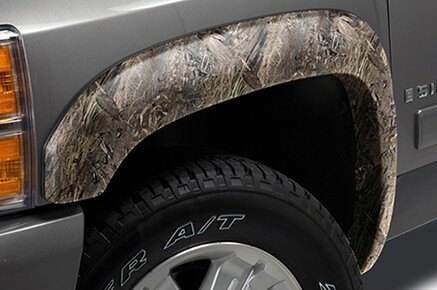 With a focus also on design, many of Stampede's products are available in camo and flag patterns. PartCatalog.com is a proud retailer for Stampede. For more information on Stampede, please visit the Stampede official website.